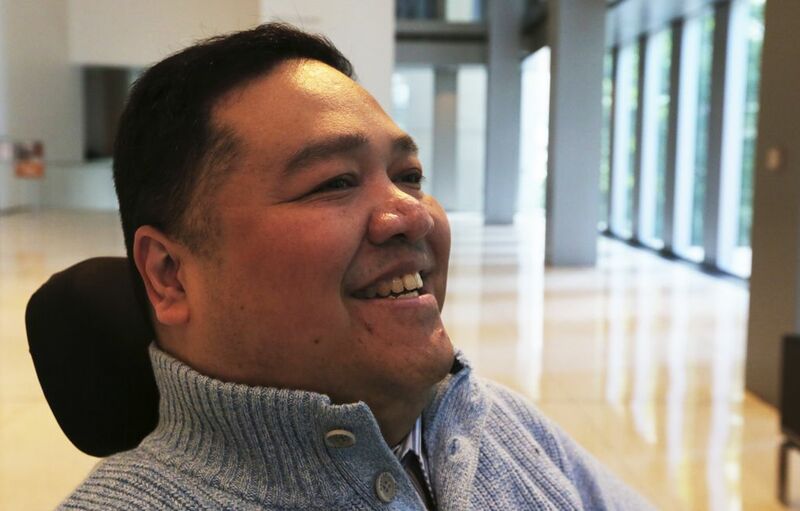 August de los Reyes, former design head for Microsoft’s Xbox and now headed to Pinterest, was paralyzed by errors at Overlake Medical Center. He received a $20 million settlement, and — more important for him — an “opportunity to innovate” and stop others from being hurt. 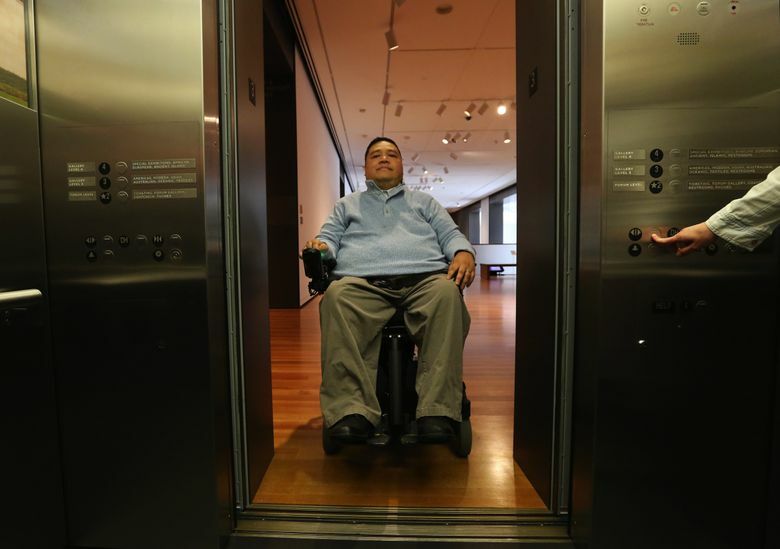 But that’s how August de los Reyes thinks of the 2013 injury at Bellevue’s Overlake Medical Center that broke his back and nearly severed his spinal cord, leaving him, at age 42, paralyzed from the chest down. In March, de los Reyes, the former head of design for Xbox, was awarded more than $20 million in a settlement after he sued Overlake and the physicians group and imaging center that treated him. More unusual, though, is the stipulation that de los Reyes be included in the hospital’s efforts to improve patient-safety protocols. The man injured while in Overlake’s care will serve as a visible, vocal reminder of the lasting toll of medical errors. “It’s not an isolated incident,” said de los Reyes, now 45, an educated patient who explained to multiple doctors that he suffered from a rare inflammatory disease that made his spine brittle and prone to fractures. Overlake officials acknowledged the error that paralyzed de los Reyes, but declined to discuss the circumstances and insisted that interview questions be submitted in writing. In a statement, CEO Michael Marsh said he welcomed de los Reyes’ willingness to help improve safety and quality at the hospital. “What happened to Mr. de los Reyes is a result of tragic circumstances related to communication breakdowns between members of his care team,” the statement said, in part. Medical errors are the third leading cause of death in the U.S. — exceeded only by heart disease and cancer — according to a recent analysis by surgeons at Johns Hopkins Medicine in Baltimore. More than 250,000 Americans die from medical mistakes each year, the authors estimated in the journal BMJ, including errors caused by communication problems and misdiagnosis, as well as poor judgment and inadequate skills. At Overlake alone, 83 preventable medical errors have been reported to the state Department of Health since 2006, records show. They include 10 instances of wrong-site surgery or other invasive procedure, 19 instances in which objects were left behind after surgery and 29 instances of severe pressure ulcers acquired in the hospital. Seven errors were reported at Overlake in the first quarter of 2016, data show. Overlake officials, however, point out that they have been recognized for patient- safety achievements, including “A” ratings for the past three years by The Leapfrog Group, an independent nonprofit focused on hospital safety. Poor communication and missed diagnosis caused de los Reyes’ injury, but the situation was exacerbated by doctors and care providers who blamed each other for the mistakes, said lawyers with Seattle’s Luvera Law Firm, which represented him. “Nobody took ownership of his care,” said lawyer Robert Gellatly. De los Reyes’ trouble began in May 2013, when he fell out of bed at his Bellevue home, hurting his back. He had been diagnosed a decade earlier with ankylosing spondylitis, a rare inflammatory disease that can cause vertebrae to fuse together, making the spine brittle and less flexible. De los Reyes knew his condition made him susceptible to spinal injuries, so when he developed severe back and abdominal pain and symptoms of nerve damage after the fall, he headed to the Overlake emergency room. During four emergency-room visits over two weeks, at least six members of Overlake Medical staff ignored de los Reyes’ warnings that he had suffered a spinal fracture, his lawyers said. Although the first ER doctor gave an initial diagnosis of a probable lumbar or thoracic fracture, that doctor didn’t enter his notes into the medical record for five days, and others told conflicting stories about the instructions given. De los Reyes was repeatedly evaluated, “assured there was no fracture and sent home with pain medications,” according to the complaint filed in October 2014 in King County Superior Court. “Every kind of medical communication error you can make occurred,” said Joel Cunningham, a lawyer with Luvera. On May 25, 2013, de los Reyes made his fourth visit to the Overlake ER. He was in excruciating pain, he recalled, and had lost control of his bowels. When he developed tingling around his waist and upper legs, he became even more worried. De los Reyes doesn’t remember what he calls “the catastrophic moment.” He only recalls “yelling in pain” as technicians positioned him for the MRI that finally confirmed the fracture. As they moved him, de los Reyes went limp, losing all neurological function below his eighth and ninth thoracic vertebrae, or from about the level of his chest. He was transferred immediately to Seattle’s Harborview Medical Center. “I went into the ER and while I was there, my back broke,” de los Reyes said. Multiple surgeries and other treatments couldn’t change the truth: He’d never walk again. De los Reyes spent months in rehabilitation, learning to come to terms with the physical and emotional impact of his injury. Learning to use his high-tech wheelchair was a challenge, he said. 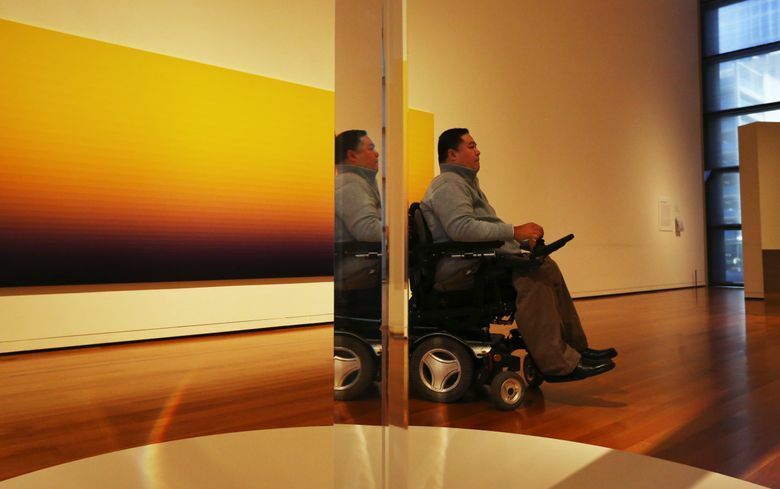 When therapists asked where he wanted to go on his first public outing, he chose the Seattle Art Museum, for its wide halls and the inspiring comfort of art and design. He returned to work at Microsoft within three months, even as he began to pursue legal action against Overlake. It was there, back in his professional element, that de los Reyes realized he could use his skills and philosophy to help prevent medical mistakes from harming others. Aided by his lawyers, he refused to keep terms of the agreement secret and demanded that the hospital investigate and evaluate the circumstances that led to his injury — with his participation. Within days of signing the settlement, de los Reyes met with Overlake CEO Marsh. Last month, de los Reyes was invited to join Overlake’s Patient Family Advisory Council, which Marsh said is a formal and ongoing way to influence the process. Hospital officials also have taken new steps to improve communication through electronic health-record alerts, double layers of radiology reviews and new processes to review challenging cases. This week, he met with Marsh and Dr. David Knoepfler, Overlake’s chief medical officer, to discuss ways to apply de los Reyes’ technical design skills to analyze and improve clinical practice. “With the multitude of new programs in place around provider communication and our ongoing process improvement initiatives on patient safety and quality transparency, I know Overlake Medical Center’s investment in these areas is getting the organization closer to our goal of zero medical errors,” Marsh said in a statement. When patients engage with hospitals, it has the potential to change practice, said Dr. Thomas Gallagher, a University of Washington professor of medicine and bioethics who specializes in patient safety and error disclosure. “Generally speaking, involving patients/families in this way accelerates the implementation of prevention plans and is meaningful for both the affected patient and the institution,” Gallagher said in an email. Helen Haskell, president of the advocacy group Mothers Against Medical Error, demanded to meet with hospital officials after her 15-year-old son, Lewis Blackman, died following routine surgery in 2000. She said medical staff in South Carolina failed to recognize or heed signs of internal bleeding. “I think it definitely put a face to the problem,” she said. The meeting launched 16 years of effort that has changed laws regarding emergency response and infection prevention, among other advances. Similarly, de los Reyes’ presence could help pressure Overlake to take concrete action, she said. De los Reyes doesn’t know yet what changes would help prevent similar injuries. Experts who focus on mistakes caused by miscommunication have found that taking specific steps to improve handoffs among care providers reduced such errors by 23 percent, according to a 2014 study in The New England Journal of Medicine. “I envision understanding what really happened and what broke down,” de los Reyes said. Eventually, he hopes to discover tools and processes that can improve communication — then share his findings so others can learn, too. In addition to his work with Overlake, de los Reyes has reached out to advocacy groups such as the Spinal Cord Injury Association of Washington. If anyone can inspire change, it’s de los Reyes, said Kat Holmes, a Microsoft design director. The pair spent three years working on inclusive design aimed at making Microsoft products useful and usable by anyone. Holmes said that idea can easily translate to health-care improvements. De los Reyes has a wide smile and a gentle demeanor, but also a quick-twitch temperament that comes from working in the tech world for decades. Last month, he announced he would leave Microsoft to be design manager at Pinterest, the content-sharing website. He’s in the middle of a move now to San Francisco. “I’m not letting my condition hold me back,” said de los Reyes, who has a team of caregivers who help with daily living. He has a husband, too, a Swedish designer who prefers not to be publicly identified. Despite the distance, de los Reyes said he’ll stay engaged with Overlake as the hospital revamps its patient safety practice. “At Microsoft we had a saying, ‘Think universally, but act personally,’ ” he said.